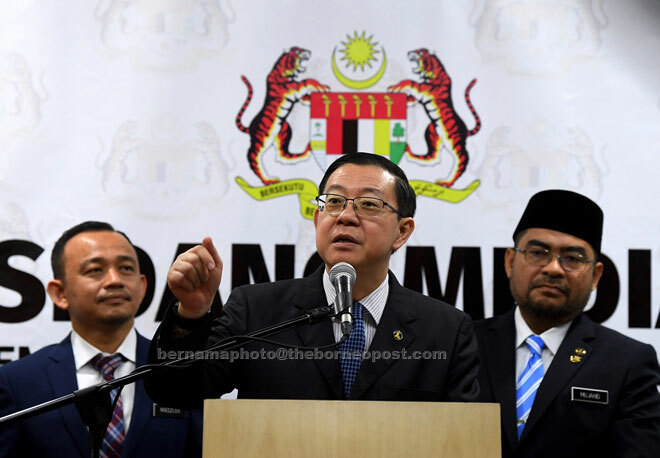 PUTRAJAYA: The Finance Ministry does not pay for the trip to Turkey by Inspector-General of Police Tan Sri Mohamad Fuzi Harun and several other high-ranking Royal Malaysian Police (PDRM) officers, said its minister Lim Guan Eng. He also said the trip was not approved by his ministry but by the Malaysia Totalisator Board, which is a body under the Finance Ministry. “The ministry has not given a single sen to Totalisator Malaysia, which gets its funding from a number- forecasting company (Damacai),” he told the media after presenting cheques to registered tahfiz schools here yesterday. On Tuesday, the Home Ministry was reported to have approved the working visit of Mohamad Fuzi and several high-ranking PDRM officers to Turkey as part of their efforts to combat online gambling. Lim said his ministry would review the need for such approvals in the future. “The current procedures state that as long as they have the approval of the board, there is no need for them to refer the matter to the ministry.